A Calgary couple who waited too long to take their dying toddler to a doctor told the judge they felt sorrow, grief and remorse at the loss of their son. On Friday, Court of Queen’s Bench Justice Paul Jeffrey allowed the couple to address the court as a part of the sentencing process. Standing in the prisoner’s box dressed in all black, Jennifer Clark told the court that prior to his death, she and John were inseparable. “I would often tell my husband that me an Johnny were one, it really felt like that,” she said. The mother says she’s had difficulty processing the loss of her son. Jeromie Clark told the judge he had a hard time expressing his feelings about what had happened to John, but that he felt grief, remorse and the sorrow of his wife and family. And the father said he often thinks about what could have been for John. “I can never get over the fact that John doesn’t get to be a man. He doesn’t get to be a teenager riding around on his bike with friends, throwing rocks in the river and stuff,” he said. Jeffrey has ordered a pre-sentence report be completed for the Clarks. He has asked for an update on that process at the end of the month, with the intention of setting a sentencing date for May. It’s not yet known what prosecutors Shane Parker and Jennifer Crews? or the defence lawyers will propose for a sentence. However, in 2017, Tamara Lovett was sentenced to three years in prison for criminal negligence causing death after she failed to take her sick seven-year-old son to a doctor. Ryan Lovett died in 2013 from a treatable strep infection. Another set of parents have been keeping a close eye on the Clark’s sentencing hearing. 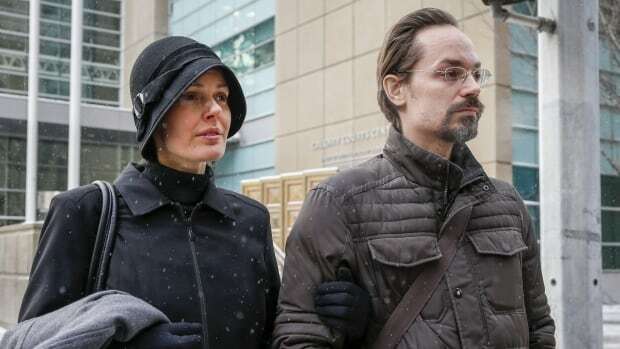 David Stephan attended most of the Clark’s trial, posting videos about what he described as the couple’s unfair treatment in both the courtroom and by the media. He was present at the proceedings again on Friday. Bohemian Rhapsody: Brian May SPEAKS OUT on Bryan Singer at BAFTAs ‘He’s NOT the director’ Cadet dead: How did he die? What was rapper Blaine Johnson's cause of death?